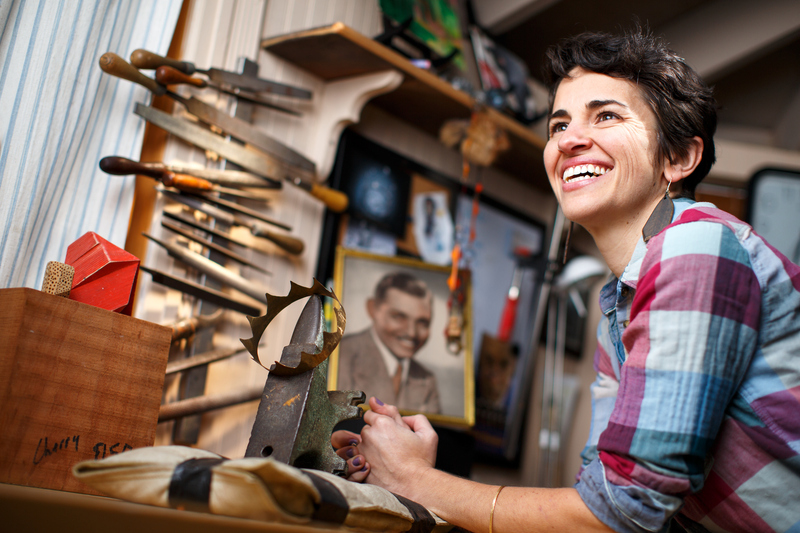 When artist Brittany Søndberg moved to Greensboro in 2008, she was already accomplished in jewelry design and metalsmithing. 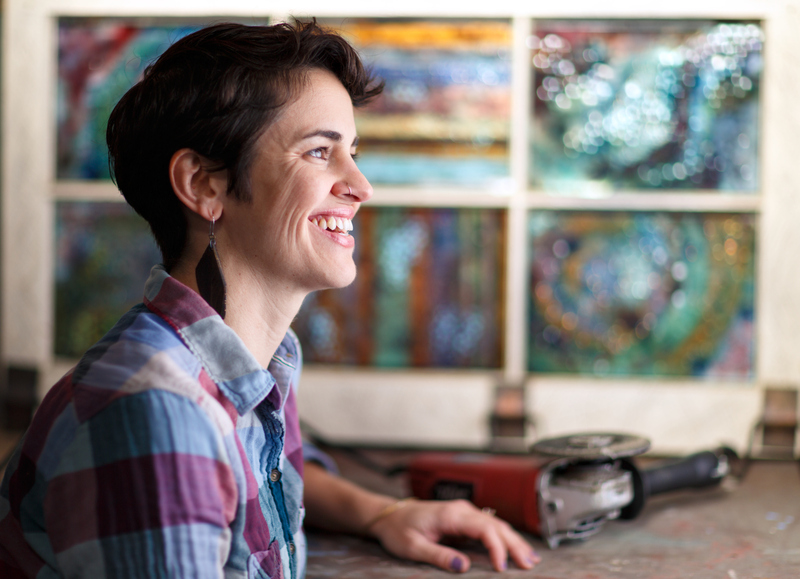 For three years, Brittany rented out a studio at Lyndon Street Artworks. 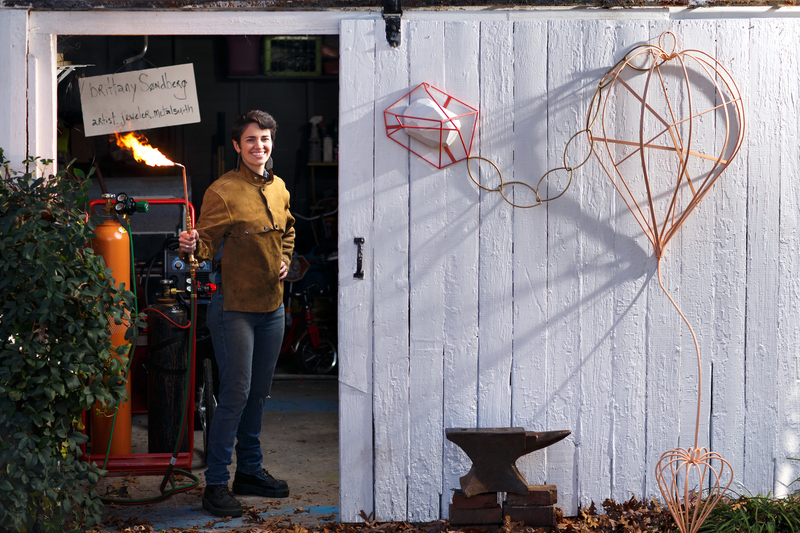 There she met different sculptors and she decided to pursue sculpting on a larger scale. She decided to pursue sculpting seriously and entered graduate school at UNC Greensboro, graduating in 2015. Initially Brittany combined her skills at jewelry design and her new passion for sculpting into monumental jewelry forms. She created a one hundred foot locket necklace which was installed in a variety of arts-centered locations, she also made a thirty foot concrete pearl necklace which was placed around town at sites where trees had been taken down excessively. Some of her latest works include Dream Machine, dedicated by synerG, that is installed out front of the Greensboro Cultural Arts Building. Little Wing II is a fabricated steel, powder coated sculpture that is on display at the Piedmont Triad International Airport through October 2017. She has also shown her work at UNCG’s Weatherspoon Art Museum and is currently showing work at the Center for Visual Artists. She has also shown her work in Pittsburgh Brooklyn, Wilmington and she will be displaying work this year in downtown Raleigh through the Art in the Workplace program organized by the Contemporary Art Museum in Raleigh. She has jewelry for sale at GreenHill Center for NC Art in the Greensboro Cultural Arts Center. Brittany is also an Assistant Professor of Art teaching Ceramics, Sculpture, Contemporary Practices and Art History at Greensboro College and has previously taught at NC A&T and UNCG.